To escape the tourist-packed streets of Florence and trendy Tuscany, going south to the Amalfi Coast or Capri doesn’t give much relief. 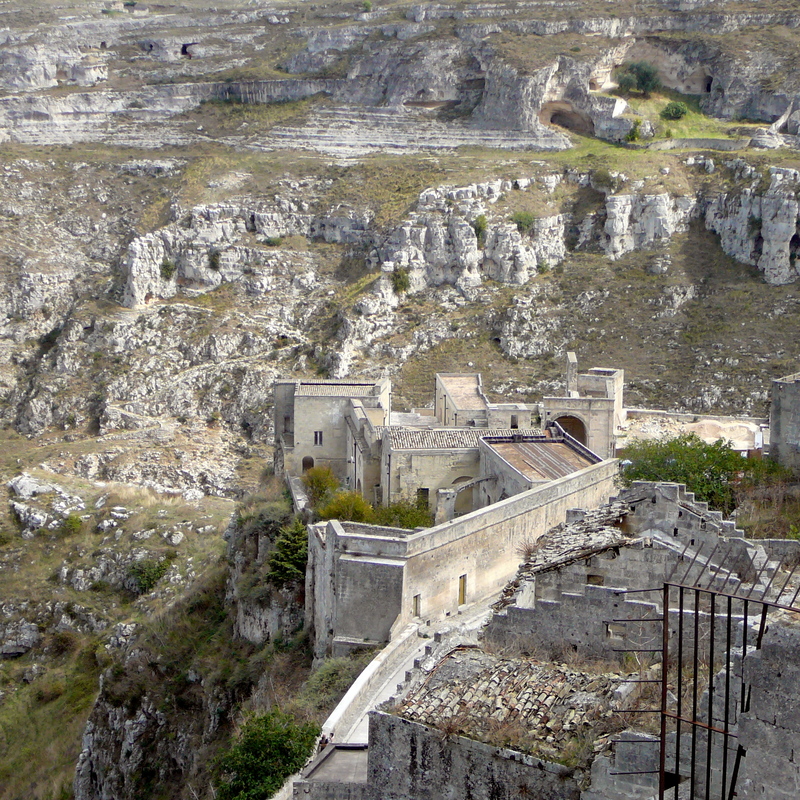 To find a different Italy, the adventuresome traveler goes to the southeastern region of Basilicata and the unique town of Matera and tours the Sassi (Stones) of Matera. Almost everyone across Europe and the Mediteranean claimed Matera at some point in time. Palaeolithic findings and Neolithic and Bronze Age underground settlements have been uncovered in the stone caves in the ravines below and across from the city. The original town center above the Sassi (where the cathedral is now) was a Roman settlement in the 3rd century BC and there is evidence of earlier Greek inhabitants. To either side of the plateau lie two limestone/tufa basins that are home to the Sassi districts of Caveoso and Barisano, home of the ancient cave dwellers. 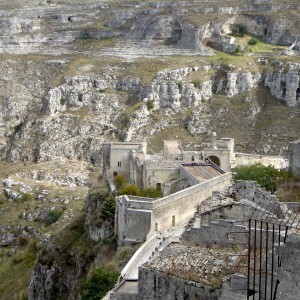 In the 6th century BC, the Goths invaded Matera. 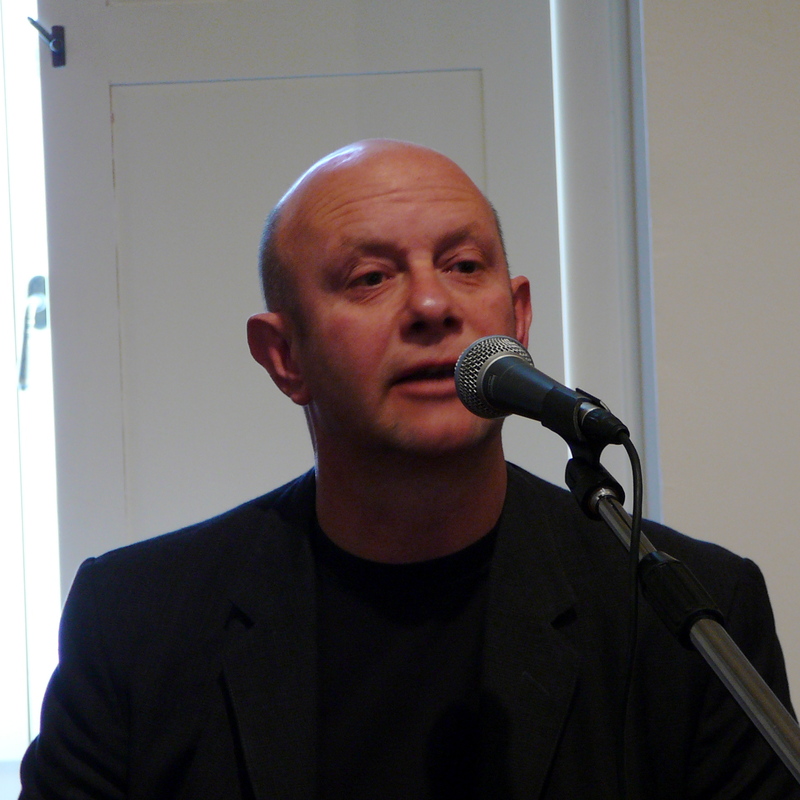 After them came the Lombards, who fought it out over the centuries with the Byzantines. The town was destroyed and rebuilt three times due to invasions between 867 and 994. Matera came under Angevin (French) dominion in the period between the 12th and 13th centuries. Matera was then taken over by the Aragon (Spanish) dynasty. In the 15th and 16th centuries, there was a large influx of Albanians and Serbo-Croats compelled to flee their countries by the invading Turks. The Aragon rulers (also the Kings of Naples) granted the town to Count Giancarlo Tramontano, but his heavy-handed taxation regime caused the populace to rise up and kill him in 1514. Matera was chosen in 1663, as the seat of government of the Basilicata area in the Kingdom of Naples, a position it occupied until 1806 when Napoleon’s elder brother, Joseph Bonaparte, King of Naples, moved the bureaucracy to Potenza. 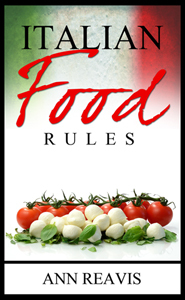 The town then followed the fortunes of Southern Italy until the unification of Italy in 1861. Since 1927, it has been a provincial capital of Basilicata. In the late 1800s, over-population of the town site drove people back into the Sassi, making them the neighborhoods of the abject poor. At first families lived in the bare caves. Later these developed into house-like structures. 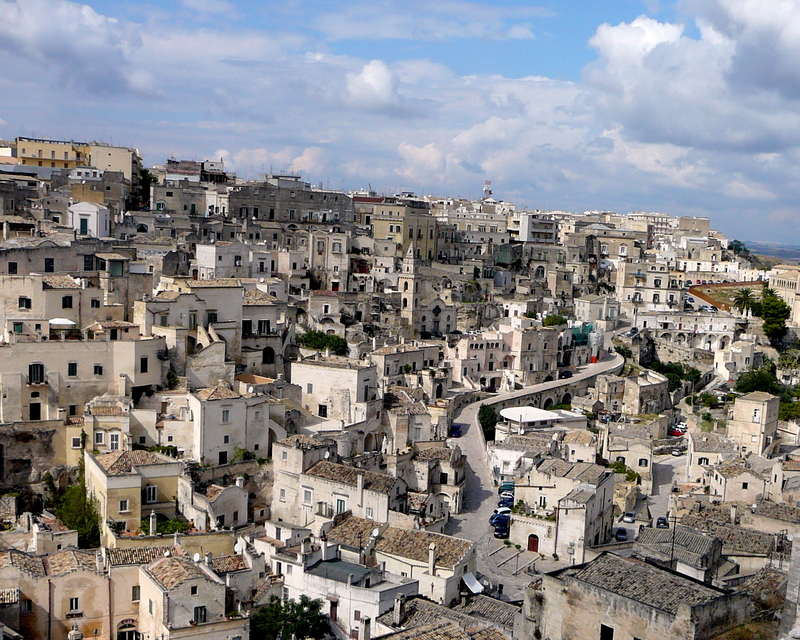 Matera was the first Italian town to rise against German occupation (September 21, 1943). The Sassi were evacuated by law in 1952, when 15,000 people, living in extremely poor hygienic circumstances, were resettled to new quarters. 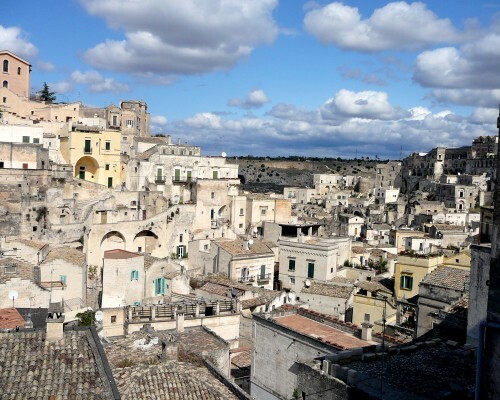 Today, Matera is defying the legacy of southern Italy to become a relatively prosperous agricultural and manufacturing hub as well as a popular tourist destination. Matera is unique for its architecture and its food. The regional Aglianico and Primitivo wines, the Matera bread, the Senise dried peppers, Lucanica sausages, the lamb slow-cooked in an earthenware pot (pignata), and the cheeses lure people to the Basilicata region of southern Italy. Touring the caves, convents and churches of the Matera Sassi helps to burn off the calories. Matera’s Sassi are the best surviving and most complete examples of rock-cut settlement in the Mediterranean region. Nature provided this location with a belt of soft tufa, with two natural depressions. Today, the Sassi have been reborn with trendy, wealthy homes being built to incorporate both the caves and restored external structures. Many new B&Bs, popular with tourists, have sprung up in the last five years. 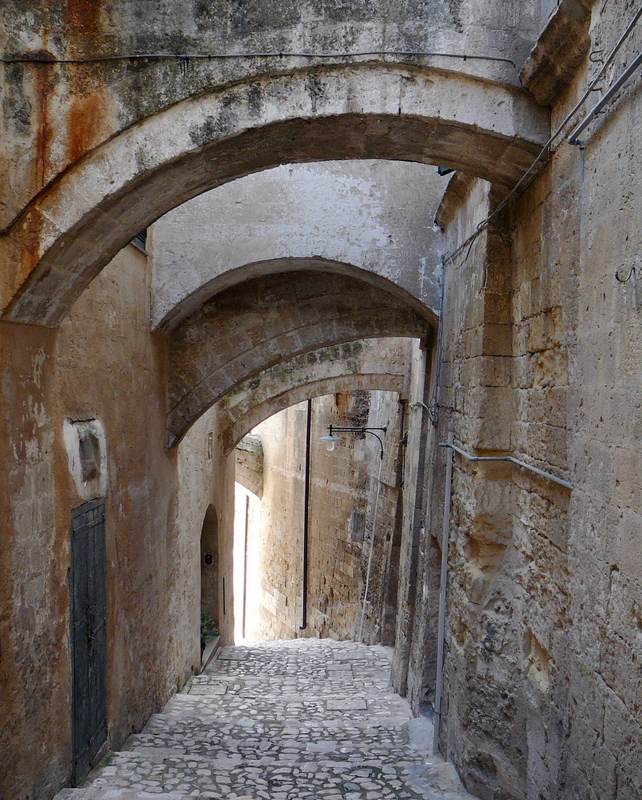 Ribboned with stone stairways and paths, the Sassi are an intriguing mysterious place to take a daylight or nighttime tour. The experience is one of stepping back in time, but with startling glimpses of a modern prosperous future. While hiking through the Sassi, find a small cafe to sample the savory bread of Matera and the various cheeses of the Basilicata region. The unique Pecorino cheese made in nearby Filiano is made from the milk of sheep that are bred in pastures. For producing this cheese, the shepherds from Filiano still use traditional techniques. The milk that comes from two milkings, the morning one and the evening one; thus, each wheel of cheese has a slightly different spicy taste depending on the time of the year and the type of pasture for the sheep. Pair this piccante cheese with a glass of Primitivo wine, a red wine made of a grape that is the ancient cousin of Zinfandel. Materani artisans are justly famous for their sculptures carved from the native tufa stone and the colorful ceramic whistles and figurines. 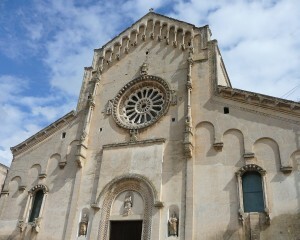 This cultural center for the Basilicata region has attracted painters, jewelry designers and interior designers. 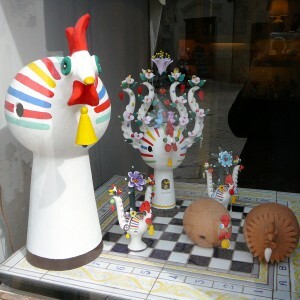 After a day hiking the Sassi, another can be spent perusing the galleries and workshops of these talented artists. 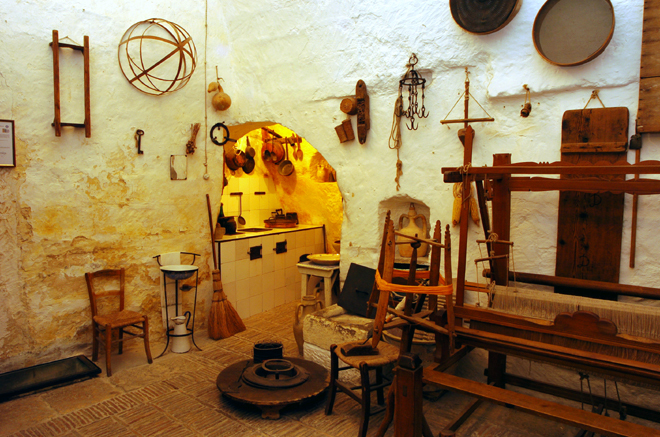 To view a cave home as it was pre-1950, visit Casa Grotta of Vico Solitario in Sasso Caveoso. Mangia! Mangia! – The Bread of Matera, Italy’s Best? Matera, located on Italy’s anklebone, boasts of being a UNESCO World Heritage Center with its ancient caves carved in the soft tufa that date back to prehistoric times. (Matera is one of the only places on earth where the residents are still living where their ancestors lived 9,000 years ago.) 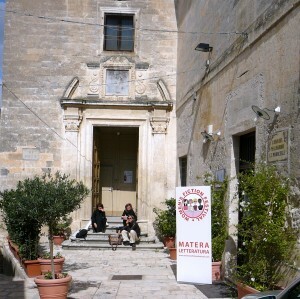 But what the Materani and visitors alike are more likely to be discussing at any minute of the day is the bread of Matera. Like the Lardo di Colonnata, the Pane di Matera has been awarded the designation IGP (Indicazione Geografica Protetta), the only food so honored in the Basilicata region. A van driver tells his clients about the time he was at school in the north and three fellow students each brought back bread from their region. 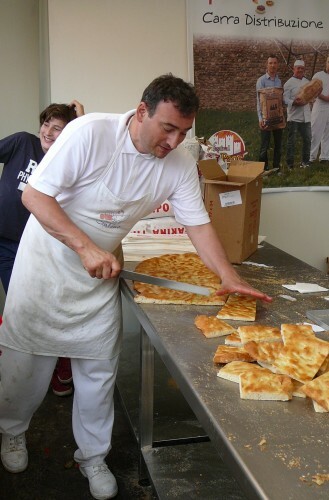 His soft, yeasty, fragrant, slightly salted bread with a crunchy crust won hands down over the finely-textured saltless bread from Toscana and the tasty wheat bread from Bolzano. 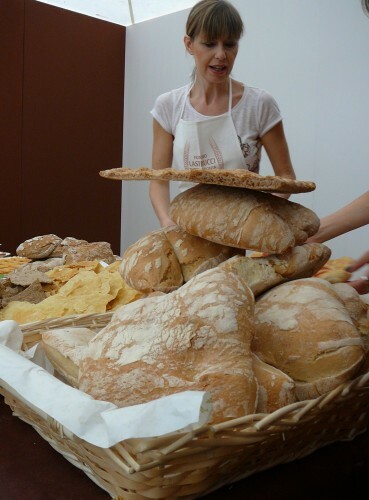 On the train heading north out of Bari, every third person is carrying a kilo or two of Pane di Matera. 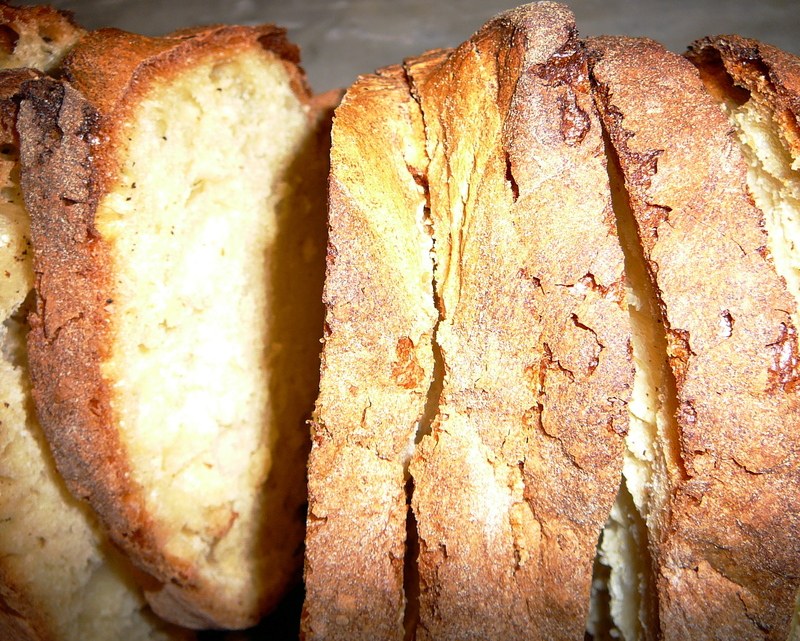 The tradition of Matera bread goes back to the Kingdom of Naples in the 15th and 16th centuries. 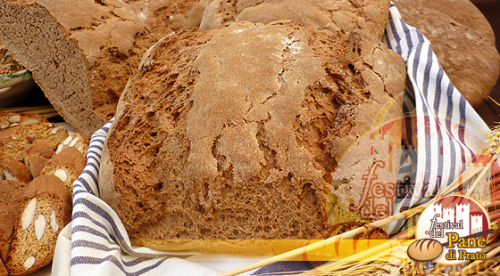 It still uses the ancient varieties of hard wheat grown in the area, such as Cappelli, Duro Lucano, Capeiti and Appulo, whose flours give the bread its unique flavor. 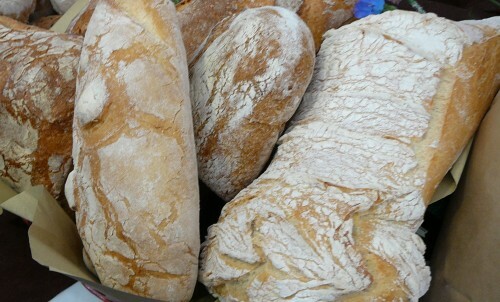 These typical varieties must make up at least 20% of the bread’s composition under the IGP rules. The preparation of the yeast, which uses fresh fruit in the process, is unique. Matera bread can only be made with a cone or crested shape and must weigh one or two kilograms (2.2 to 4.4 pounds) per loaf. 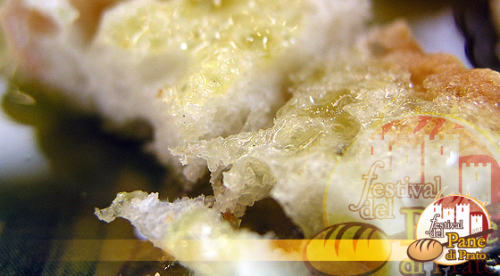 It has a straw-colored, soft interior with a characteristic honeycomb look, which is surrounded by a hard crunchy crust. Not more than thirty years ago, the bread-making day was a fixed event for the Matera housewife. It began the evening before by collecting the yeast, kept over from the last bread-making day, and making the starter dough that was then left to rise in the majustr, a large clay container. 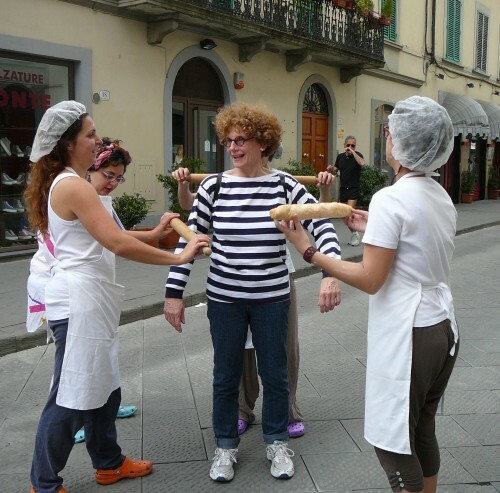 The next morning, a larger amount of dough was made using as much as 15 kilos of flour for big families. After leavening, the local baker made his rounds to pick up the dough. The women then went to the baker’s forno where they carefully watched over what happened to their own bread in the wood-burning oven. To recognize their own loaves, they used to mark each loaf on the fold with a hard wooden stamp. 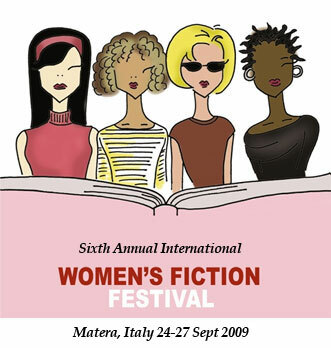 The stamp is still used in artisan bakeries today as are the practices of the Matera housewives of yore, although with the help of large kneading machines and long leavening tables. 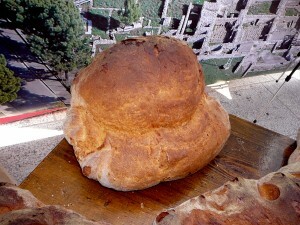 Today, few people make Pane di Matera at home. Is Pane di Matera the best bread in Italy? 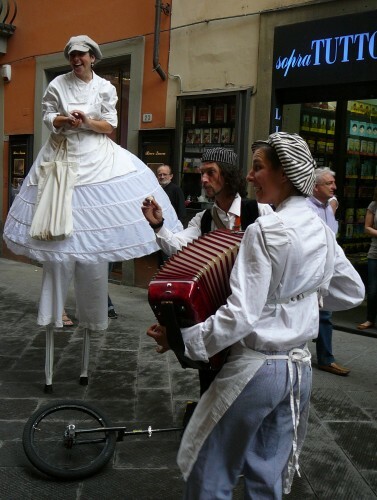 Tuscan Traveler invites your comments.